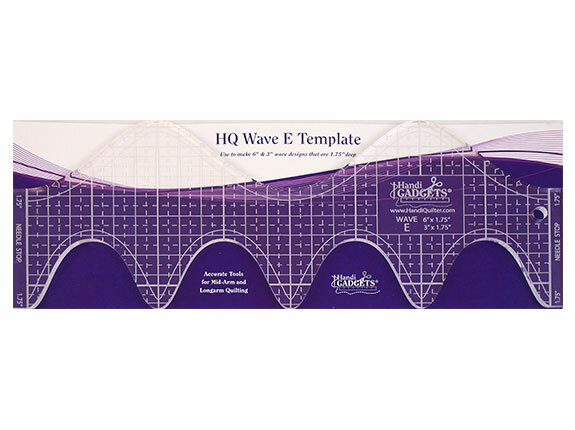 HQ Wave E Template. Use with any brand mid- or longarm machine. Precision made from high-quality acrylic. 1/4" thickness ensures safety when used with a hopping foot.